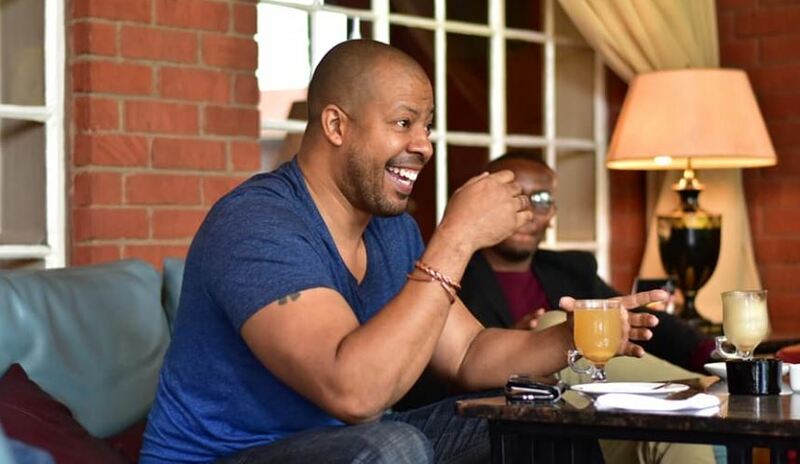 American actor and director Morocco Omari has graced Kenya with his presence as he continues to extend his skills to Africa’s film industry. The Chicago-born actor of African descent appeared on the hit series ‘Empire’ as Tariq Cousins, a Federal Bureau of Investigation (FBI) agent. 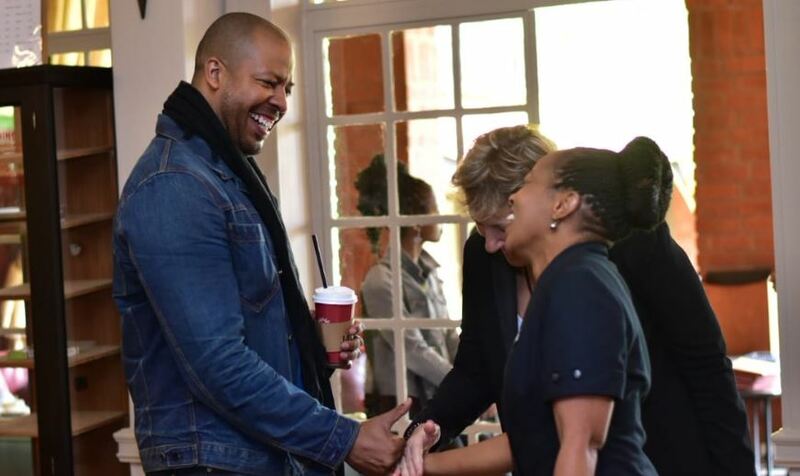 He has also featured in various television shows like “Prison Break’, ‘Chicago Fire’, ‘NCIS’, ’24’, and ‘Homeland’. 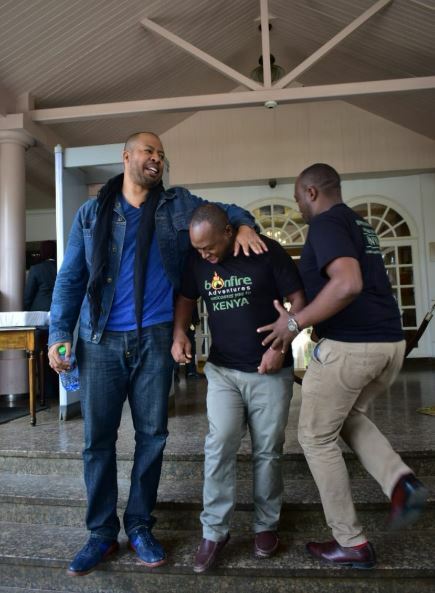 Omari landed in Nairobi, Kenya on Monday morning ahead of a free acting workshop for Kenyan film actors and directors. 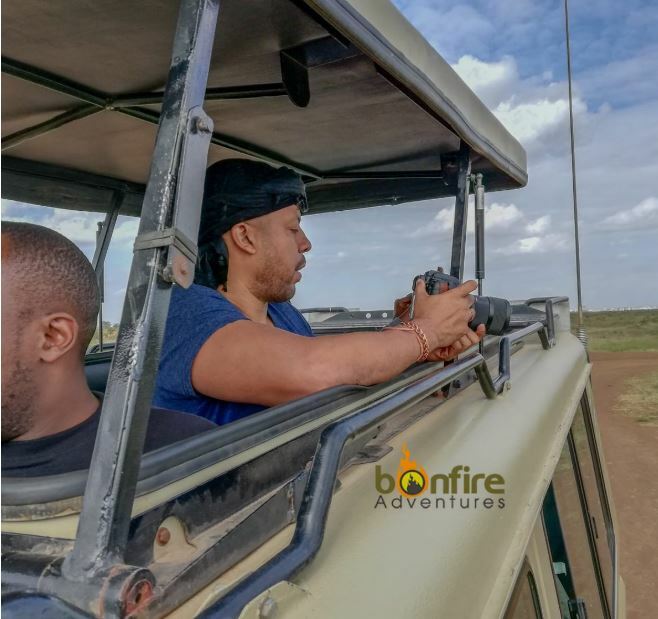 He was received by Bonfire Adventures co-founders Simon and Sarah Kabu, who are handling his visit in conjunction with PR firm Eminent Media. 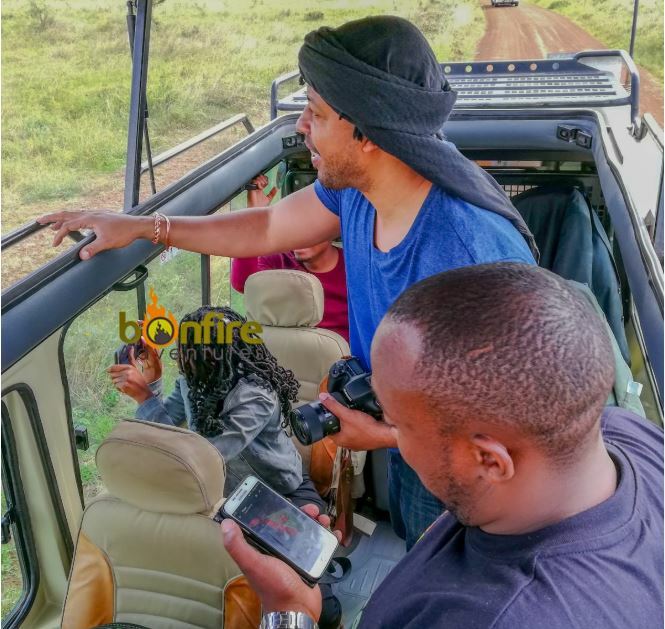 The actor was spotted at Fairmont The Norkfolk before Bonfire picked him up for a tour of the Nairobi National Park. 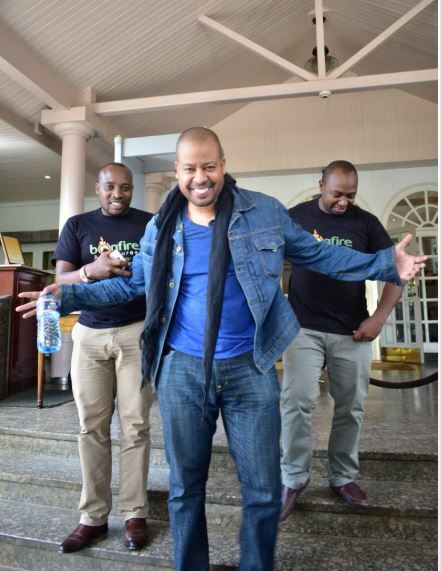 Omari is in the country for a two-day workshop to be held on 10th and 11th January at Kenyatta University. The workshop, which has since been fully booked, will take place at the Business and Students’ Centre at Kenyatta University from 10 am to 1 pm on both days. 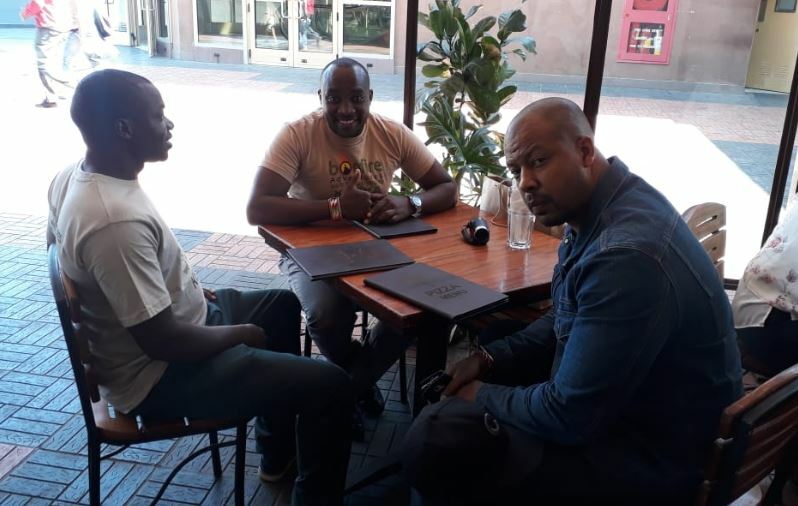 The actor has since been to some African countries such as Rwanda and Namibia, where he gave lessons to budding actors and film director on how to make a career in the industry. 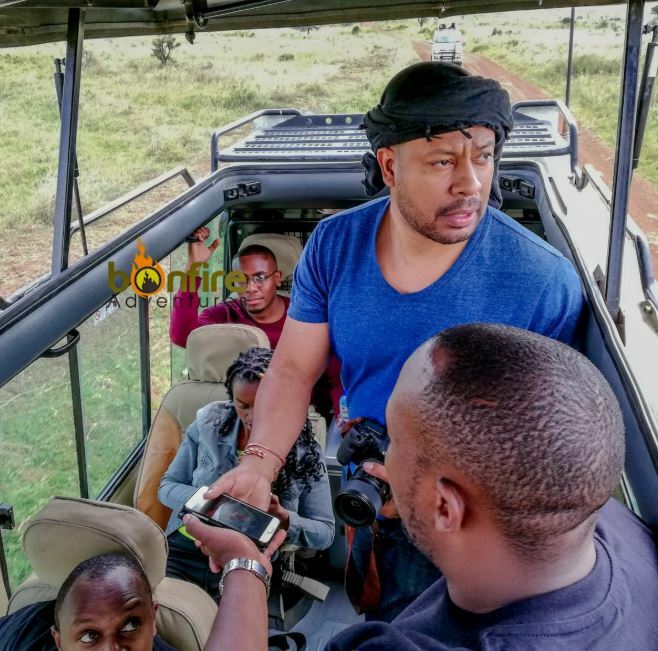 After Kenya, Omari is expected in Uganda for another two-day workshop from January 18-19 at the National Theater and Makerere University respectively. Here are some pics from his Kenyan tour thus far.